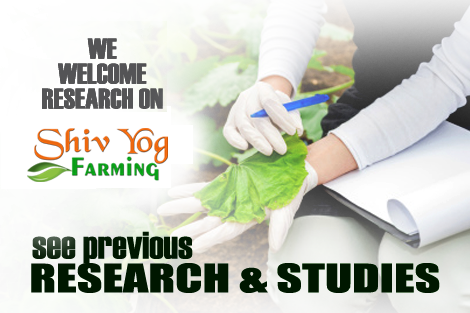 Be a part of creating SHIV YOG MODEL VILLAGE A PARADISE where each and every farmer is happy, healthy, and wealthy. They grow health giving Divine Food free from any harmful chemicals. Their families have loving relationships and they collectively invoke the Divine Grace by doing DSS thereby creating a Shiv Yog Cosmic Energy Pyramids in the entire area. Their children after having received Saraswati Deeksha are growing up to be very intelligent, wise, successful and responsible citizens. Imagine creation of a paradise, immune from diseases, crime, catastrophes, calamities and disasters. Imagine communities and wide swathes of population happy, harmonious, healthy, peaceful, prosperous & content. You have the opportunity to create such divine, utopian territories under Baba ji’s guidance with Shiv Yog Model Villages. Concentrating the efforts in one village per seva team is the key to success. Once one village starts following Shiv Yog way of living then few members of the team stay to support the village and others can move to another neighbouring village. Watch the video to know more and be a part of this easy to conduct, selfless service to farmers, farmers’ children and villages of your country and also to your own children as they get to eat what farmers grow. Click here for application form of Model Village. Join Hands with ShivYog Farming! © 2017 ShivYog Farming. All Rights Reserved. For Parent Site visit ShivYog.